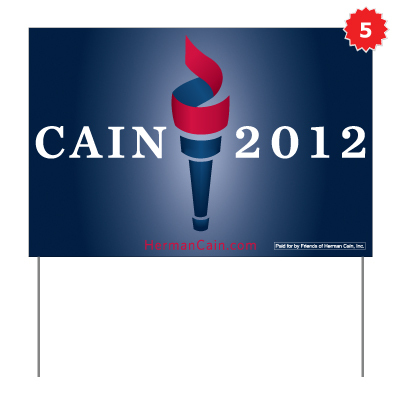 What is the MAIN reason why Herman Cain's 9-9-9 Plan has resonated so soundly with the Republicans lately? And it has absolutely nothing to do with his race in case you haven't noticed that already. 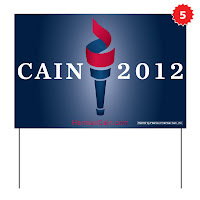 How can there be so many 'white racist rich Republican people' in the nation and at all the country clubs around the country when Herman Cain is now leading white-as-Sunshine Bread Mitt Romney in the GOP presidential race? 'There just has to be a better way!' the primary voters on the Republican side are screaming at the top of their lungs. Truth be told, this is at the heart of the Tea Party movement, the huge increase in registered and actual Independent voters across the nation and many Democrats as well. The only people who seem to 'love' the existing tax code are the people who have learned to game the system and make full use of all the exemptions, loopholes and tax favoritism; the labor unions and guys like Chris Matthews of 'Hardball' and George Soros. Wouldn't you love to see their tax returns to see if they are paying their 'fair share' according to the tax rules and not sheltering one thin dime anywhere! 1) Establishes a 9% flat rate income tax on all taxpayers. 2) Establishes a 9% national sales tax on all transactions, not just at final consumer purchase level but at every transaction in-process. 3) Establishes a 9% corporate income tax rate on all US corporations. 1) No deductions (except for charitable deductions) at the individual level. Including home mortgage interest deduction. Including mortgage interest for your second, third and fourth homes. K Street lobbyists in Washington, DC will be joining the 'Occupy Wall Street' crowds in tents. Not by choice but because they will be unemployed and their PACs will be dissolved. No corporate tax code to find loopholes in/No lobbyists needed/No PACs to pay for incumbent-protection programs. 3) All current federal payroll, excise, estate (death), sales, gas taxes would be repealed. You would have zero $ taken out of your paycheck ever again for FICA, UI, and presumably, for your share of the health care premiums provided by your employer because they most likely would stop paying for your insurance once this huge deduction is wiped out. You would be on your own to find the best insurance plan you could on the open market. Or you could join the purchasing co-ops supposedly being set-up by Obama Care....unless it is not funded by Congress, which doesn't appear likely at the point. 4) No taxes on capital gains, investment or dividend income or other personal savings accounts. You will be free to invest in whatever business, stock, real estate or gold program you want without ANY concern or regard for possible taxation down the line. 5) What happens to the employer matching share of the FICA payroll taxes and the health care premiums they no longer will have to pay? Well, it being the free enterprise system and all that, presumably the corporations and company owners could try to just keep all of that sudden-found windfall for themselves in terms of retained earnings and profits. As long as every competitor does the same, there will be spectacular profits on the order of which American business may not have seen for a century. But what happens the day one competitor cuts his price to gain market share? Everyone else will follow suit in short order. Revenues and profits will start to compress down to some new 'normal' level similar to what they were before this new tax reform tsunami hit. What happens the day one of your competitors decides to use some of that new-found wealth to pay one of your workers more money to come work for him/her? You either match it or lose a great employee. And if the others see that you are unwilling to pay more money to keep them, they will start to leave in dribbles and then in droves. In short, no one really knows for sure what will happen when and if a seismic change in tax policy hits America after the Inauguration of our 45th President, Herman Cain in 2013. The preliminary very negative projections have been done by the self-professed and designated 'non-partisan' Tax Policy Center which is hardly such a creature. It is comprised of tax policy wonks from the Urban Institute and the Brookings Institution, neither of which has ever been very kind to radical tax reform ideas mainly because they like the current one just the way it is. Most economic and econometric forecasts used in Washington are not 'dynamic' but 'static' meaning they can only focus on changing one variable at a time and can't predict very well what changes in human behavior will be to different incentives and policy changes. There is no way to accurately forecast what businesses will do with their extra cash. There is no way to really know exactly what someone will do with the extra cash in their pocket after these changes are made. Our gut tells us that this 9-9-9 Plan has all the markings of setting up a titanic national debate in 2012 that we desperately need to have out in the public. On the one hand, you will have President Obama defending the old and archaic and sclerotic current tax system, when you would think he, as a young, energetic President would be for something 'different' since this one doesn't work very well. On the other, you may have another African-American, Herman Cain, promoting the most drastic and dramatic tax reform effort in America since the Kemp-Roth tax cuts advocated by President Reagan in the early 1980's. I've blogged about this topic before, but to summarize, I think radical change is not really possible in the current political environment. There are too many special interests, and opportunities to water-down any nominal flat tax system until it looks indistinguishable from (or worse than) the convoluted mess we currently have. Rather, I think a "good" solution would be a flat cap, which was independent of the existing and preserved tax code. It would accomplish very similar goals, but in a way which might be more palatable to all the politicians and interested vested in the current system, and thus more possible to actually enact. Moreover, if you did it right (ie: as a parallel measure, enacted as an amendment), it could survive inevitable future attempts to make the current system worse, and put a real cap on the growth/spending of government (at least to the extent that government spent within its means). Anyway, that's my opinion; refer to blog post for more details if you're curious. In my version, flat cap on total taxes paid, per tax period (ie: year, currently), based on percentage of income, and, as long as it was sufficiently hard to increase, percentage of net assets. I picked 20% of income and 1% of net assets; I'd prefer lower in my ideal version of government, but that seems to be in-line with the current size/scope of government. - Say you had $50k income and $50k net assets. Your max taxes for that year would be $10k + $0.5k, or $10,500. If you paid less, fine. If you paid more, you'd get a refund. - Say you had $100k income and $250k net assets. Max taxes for that year would be $22,500. - For $1M income and $10M net assets, your max taxes for the year would be $300,000. i think a flat tax taken out at the checkout counter is far simpler and fair. 'You paid $1.27 in federal consumption tax. ties the revenues with the expenses. Is It OK To Vote For A Mormon For President?